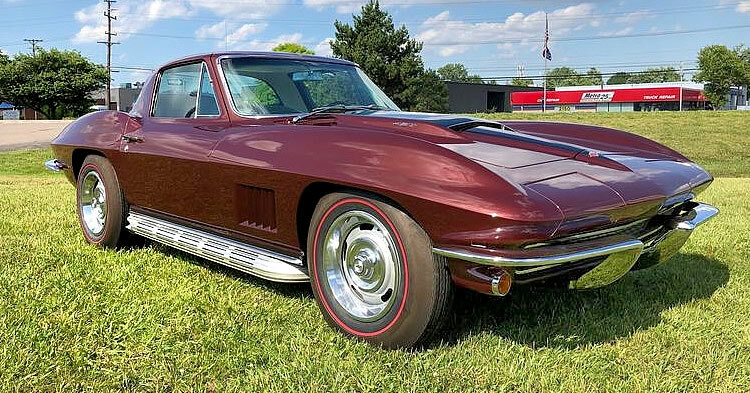 This 1967 Chevrolet Corvette Sting Ray in Marlboro Maroon with white interior has only done around 500 miles since it was restored about 10 years ago. 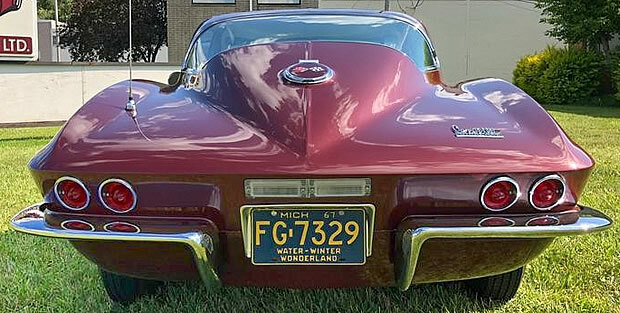 This was the last year of the second generation Corvettes that had been around since 1963. Highly refined during those 5 years, Chevrolet had really got it right this year - it was the cleanest looking of the 1963-67 generation. Gone were the three fake front louvers from the previous year and replaced with 5 functioning ones. You can clearly see the bulge of the stinger hood which was put on the 427 equipped cars so that the bigger engine could be accommodated. 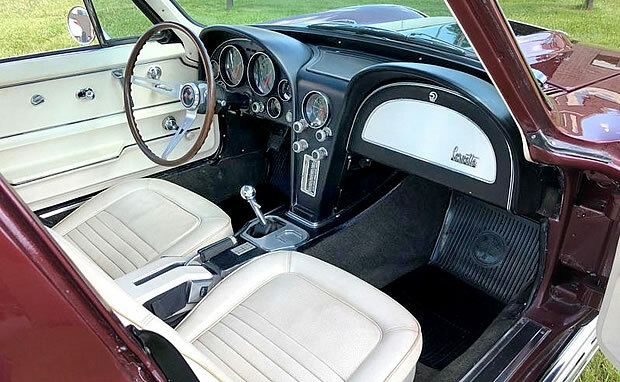 The interior is black and white with vinyl seats - code 455AC. Note the manual transmission and the parking brake relocated this year from under the dash to the center console. New for this year was the single backup light, mounted above the license plate. Standard engine for the Corvette in 1967 was the 327 cubic inch Turbo-Fire V8 producing 300 horsepower. 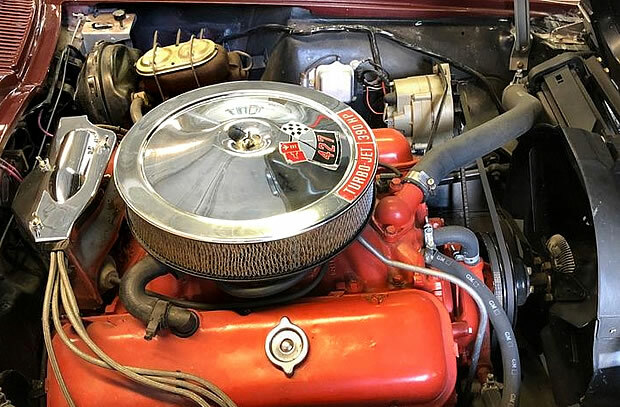 This car has the optional 427 cubic inch L36 Turbo-Fire V8 with 4-barrel carburetor. It produces 390 horsepower. This is paired with a four-speed manual transmission - it was a popular option as 88 percent of Corvettes this year were fitted with it! Wheelbase is 98" with an overall length of 175.2" (175.3" for the coupe) and a width of 69.6". Chevrolet sold 8,504 Corvette Sting Ray Coupes for the 1967 model year, at a base price of $4,353. Production of the convertible was actually 14,436 cars making the coupe the rarer of the two.